Hey Joe, guess what? I just got done reading Newton’s laws of motion and I learned something new! What??!! You know that is a book of lies! Do you want to corrupt your mind and lose your soul? You know I love to learn, one day I was playing with a magnet at work and even though it sticks to metal things, it just wouldn’t stick to my hand, that didn’t make sense to me that the magnetic force is really what the rest of the world calls the gravity force like I had been taught. Plus one of my friends suggested reading a book on gravity, he said I might learn something. I know it was wrong but I just couldn’t explain the magnet not sticking to my hand like it does to the elder’s. I wanted to know more. Oh no! Touching magnets is a sin! I am very sorry for you Fred, I fear you are losing the ability to see the truth because you touched a magnet. Only the church elders are allowed to use the power of magnets, you must be ordained to use that power or it is corrupted and of the devil. I can see that you are getting corrupted now. I know that’s how we were raised, but I have to tell you I believe our teachers were wrong. I am losing faith in the magnites. I don’t think I can be one anymore. See!! Proof that you shouldn’t have touched a magnet and read that anti-magnite book! Doubting your faith is the first sign of corruption! The elders tell us so and it is in their books. But Joe, it isn’t anti-magnite, it is just a science book, really I am the same person, in fact I am sure I understand the world even better now than I used too. I am so sad that you have lost the faith, I know that ‘gravity’ is a lie I know because I feel it deep in my soul that it is magnetism that holds us to the earth, our leaders preach this to us, they are holy and can hold magnets! How can you turn your backs on these men and the truth they preach? Joe, I am trying to tell you that what scientists call gravity is real, it is the mass of the earth that draws us here not some big magnet at the center of the planet like we were taught. I know without a doubt the center magnet exists, and your ‘so called’ scientists even say so too, they say there is a magnetic field I’ve seen it on the news. I mean how do you think a compass works? I am sure some day they will see the truth, science eventually catches up with us you know. Remember when scientists confirmed that like magnets repel? We were taught that when we were kids! Our elders did know and that is enough for me to trust them on this. I know, I know what we were taught, but I’ve studied church history, our founder he had a best friend James and his friend worked in the lab of Nicolas Tesla. Do you know who he is? I have heard the name mentioned by anti-magnites, I don’t need to study history like you, I just know in my heart it is true and I am happy to be a magnite, there is no changing that! I fear all you want to do is destroy my beliefs. You are so anti now, what happened to you? Have you been handling magnets long? I know you don’t want to follow the rules of magnites anymore because the rules are hard to keep, but we will all be stuck together in the great magnet after this life if we follow the rules, the gifts are great of magnets I know this to be true. I know the rules Joe, and I know that you are taught that I am now a lost soul. I just want you to know you’ve been mislead. I had know I idea that I was, but when I studied I found out that I was and I did experiments to see if I was wrong or right. I love experiments too, I didn’t them just like the book of magnite said too and it has left me with a knowledge that it is right. you are wrong to get any other answer because the book said so. ‘If you don’t see the success of this, then is the magnet bad? No! it isn’t ,the magnet is good but was cast out because you didn’t believe.’ See Fred, you have to believe to know it is true. Exactly! Now you understand my point, if you don’t keep telling yourself every day that the church of magnites is true then your belief will quickly collapse. Stop changing my words! that’s not what I said. You are a good debater I will give you that. The leaders have always said the devil is cunning and smart, No not that I am implying that you are the devil now, just saying you seem different to me. Of course I am different, knowledge brings change. If could just get you to pick up a magnet and experiment for yourself you will realize that the law of gravity is real. I will never do that, I am sorry for you Fred, you have lost the light and I don’t want to risk losing it too. I know that will happen because our leaders have warned us time and time again that there are many lies out there. They say once we let doubt in our faith will fail and we will lose the light of magnetism. I hope you still believe in magnite ore though. I know that is real and true. That has been around for thousands of years and magnets come from there. I agree magnets come from magnite ore but I don’t hold it to be holy and of God anymore, it just doesn’t make sense to me now. What?? You are much further gone than I realized. We are getting nowhere with this debate. It causes me great discomfort to talk about these things and I know that discomfort is of the devil, it is better that we just stop discussing.I want to bear you my witness though I know it is magnetism that holds us to the earth, not gravity, I am sure gravity is not real, a week doesn’t go by when this witness is not reinforced by hearing it from my other magnite friends. There is no such thing as gravity, of this I am sure. Amen. Now please I have things that need to be done. I need to go now. Where have you been Fred? You don’t visit anymore. Life’s busy you know. Lots to do. Besides you don’t really like me talking about gravity so I have been spending more time with other gravity researchers up on campus. I love the new knowledge I am getting! Yeah, today I learned there was this scientist that came along after Newton named Einstein, he rewrote the laws of gravity so that they were more accurate. See! Like I keep saying science changes, eventually they will prove magnets hold us to the earth not gravity. Just like we’ve been taught. Ok I get the smugness in that response, I used to think I knew something the world didn’t too. It made me feel special. But I am telling you this would all be proven by a simple honest experiment. If we are really full of some magical bits of magnetic material and that is what holds us to the ground it can bet tested! Spiritual things can’t be tested Fred, that’s why they are spiritual! If we know everything, then we couldn’t have faith and God needs us to have faith. Please do not blaspheme like that, you know I believe in my religion that handling a magnet is only for those ordained to do so. It is offensive to me when you do that. Ok sorry, but can you explain why it doesn’t stick? No, no I can’t, that is a mystery that God left us. You know its because we need mysteries to over come so we can have faith in him no matter what. I am going to do that, you will never persuade me that gravity is the force you say it is. Gravity is just one of 4 forces that scientist have discovered, there is the electromagnetic force, it obeys some of the rules we were taught! Then there is the weak nuclear force and there strong nuclear force and also gravity. It’s the weakest of all the forces. Oh my Fred you are way out there now! 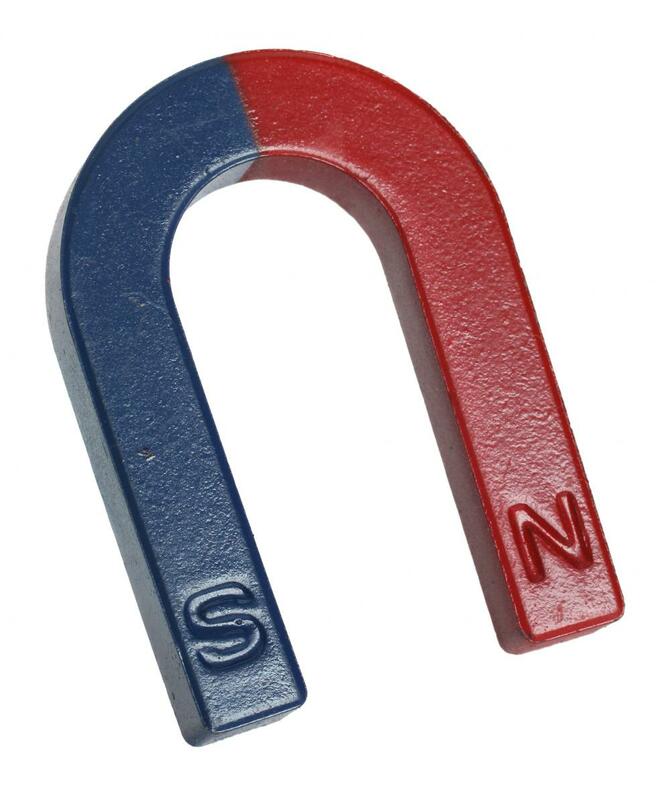 Magnetism is the force that binds universe together, thus saith the Leader. I am so sorry that you are lost now. It makes me sad, I am going to pray for you every night that you might know the law of gravity the world teaches simply isn’t true. I hope some day you will stop trying to tear down my beliefs and come back to the fold. But Joe what if your beliefs are wrong? Wouldn’t you want to know? I mean the church makes you give them so much money and time and what if it was all a deception on their part to get your time and money? I give my money freely, it is not a deception, I know that magnite is a true religion, more than another other on the planet and if my leaders say the law of gravity is a lie, then I am going to believe them. I cannot deny the way I feel. Besides even if I am wrong, it’s a good way to live my life. I know the feelings you are talking about, I had them too. Remember? You used to tell me how happy you were when I bore witness that magnetism sticks us to the earth not gravity. I’m just saying that I realized that these feelings could be wrong, I mean that is why there are other religions besides magnites right? We were even taught that when we were given our magic bracelets. Please don’t call them magic, they are sacred not magic. That offends me. Ok sacred, I guess I felt they had powers of protection like we were taught when we got them. seems kind of magic to me. but sorry to offend. I know that the leaders don’t talk much about these magical properties these days. But they used to. They are sacred, nothing more, leaders don’t tell us they were magical, go look at the website. Are you telling me you don’t know they used to say they were magical? Our leaders said that all the time 100 years ago, they are changing the story now because of PR reasons. Besides when we were kids we were taught how the bracelets would heal us and protect us, isn’t that magical? Surely you remember begin taught that. You are wrong, you are reading anti magnite material again. They are just lies. Surely the protect us, but it is just a metaphor, they aren’t magical. But here it is in our own history books you can see for yourself. Ok, well there are all sorts of reasons that is in there. Our leaders aren’t perfect, they make mistakes, they are human, or maybe it was recored wrong or whatever, I just know you can’t shake my witness no matter what! So if the leaders can be mistaken, how do you know they are right now? Because when the Leader speaks the thinking is done. Ok so leaders can be mistaken, but when they speak you should no longer need to think about it? I know it makes me happy and besides if I am wrong isn’t this a good way to live my life? doesn’t the church do lots of good things? Doesn’t it teach good morals? The Leader is a nice guy! Well it does some good stuff, but I have to say learning the law of gravity hasn’t stopped me from being a good person. I know when I started studying it that I was worried I would turn into an evil person, I know that is what the scriptures teach, that gravity believers are evil. Do you think I am evil Joe? No, I do not think you are evil. But you say you believe the scriptures are the word of God? Right? And you believe the word of God to be true right? Here is this scripture it says gravity believers are evil, I am a gravity believer therefor you must think I am evil right? Wow it seems like you have a hard time believing that I am an evil person, maybe its because you know me and can’t handle that the scriptures condemn me to hell for not believing it is magnets that keep people on the earth. I can prove it to you, you know, that I am right on this thing. “Pride is about who is right, humility is about what is right” thus saith the Leader. So are you now insinuating I am prideful? I didn’t say that, just making a statement. You should study passive aggressive behavior, this a perfect example of it. Fred why can you just leave me alone, I am happy in my beliefs, you can have yours and we can still be friends ok? It bothers me that you spout these lies of yours on your Facebook page though. I am just going to say that your actions drive people away, that is all. But your actions are you choice you can choose the right path or the wrong one. Me I will choose the right one because that is how I was taught and raised. Besides you don’t see me out there telling the gravity believers they are wrong do you? I guess I know something to be true that I didn’t before and I like telling people about it, its who I am. But to your last point, the church sends out missionaries to convert people into magnites because it is the only true force, isn’t that telling the others that they are wrong? Its not the same and you know it. You were a missionary, all you did was tell them about the greater truth. I was a missionary and the scriptures say all the other creeds are wrong, to me that is no different than how I am pointing out errors now and trying to expose truth. I know that the church is true, that magnetism is real and that gravity is false. you can’t change that about me. But the fact that I believe in gravity now and that I don’t see magnetism as something holy anymore, that means we can’t be the friends we once were, don’t you see that? It seems to me that the church only wants you to have close friends that believe the same way you do. We can still be close friends. Not as close as we once were. I can’t participate in the ceremonies I once did because I think gravity is real and I am not going to pretend I don’t think that. I can’t see your kids get married now because you are required to be a believer to see that, what I am saying is that the church excludes people when they don’t believe what they want them to. It drives people apart that might otherwise be very close friends. It is your choice to not believe, no one is forcing you. So you are saying its my fault that I don’t get to participate because I chose to believe in gravity? Yes, isn’t that obvious? The Leader says everyone is free to choose right from wrong. You have to choose right to be blessed. I don’t think you realize that once you learn something you can’t unlearn it. What we believe is a sum of our experiences our intellect and our reasons. Are you saying that we can believe the moon is made of green cheese if we want to? Yes, but that would be silly.People believe some crazy things though, you can believe anything you want if you try hard enough. Ok then if we can believe anything if we try hard enough, how do we know what is true? Good question, I think it depends on how you feel. you can’t know spiritual things by any other reasoning than your feelings. But gravity isn’t a spiritual thing!! Neither is magnetism! They are physical properties they can be measured and tested! See how you are getting annoyed and angry? That is proof that I am right and you are wrong our leaders have always told us about how apostates get angry and bitter. Seems to me you can’t leave the church alone. To me that is proof that it is true, surely there is a part of you that still believes, I hope someday you will have faith in it and return to the fold. , Ok it is frustrating going in circles I’ll admit that. I am a magnite, I believe in magnetism and I know it is true and I am right on this thing. Gravity is a bunch of made up lies, that is just how it is, I may not be a scientist or as well read as you on these things but I don’t need to to know what I know. I know because it comes from inside me and that is that. Have you ever heard of confirmation bias? It is a human trait, we tend to see confirmation of the things in the world that we want to see. If we believe in global warming all the things we see in the news reinforce that belief, if we believe there is no such thing as global warming then we notice when it gets cold and don’t see other data. Confirmation bias ensures we see what we want to see. It’s the same reason you notice other people that drive the same model of car you just bought. Are you a liberal tree hugger now too? See you are doing it now, all you took from that sentence was the thing about global warming because you were predisposed about it and saw it connect to your belief in me being a lost soul now. Maybe you are having confirmation bias about gravity because you like to waterski on sundays. See I can play this logic game too! Wow good point. Confirmation bias happens to everyone, that is why we invented the scientific method. It helps eliminate that bias. You need to have your tests ran by independent labs and checked by others that don’t have the same bias as you. But spiritual claims can’t be tested like that. How do you test feelings? I agree you can’t test feelings but there are things that can be checked, for example if the religion says I am full of magnetic particles and that sticks me to the earth then it makes sense that I should be able to stick a magnet to me. That is a conclusion of a spiritual thing that can be tested. Look when I drop this ball, you call it ‘gravity’ I call it magnetism can’t we just agree the ball drops and go our separate ways? Yeah we can, but please don’t be upset when I spend my time with others that are studying gravity because learning this new thing is important to me. I know you see it as an evil pursuit. I however do not, I hope one day you will dare experiment with a magnet and discover there are things that you have done a certain way your whole life just because someone told you to. The world is a much more amazing place when you realize, there are other forces at work. Scary to be sure and maybe not as predictable as you wanted it to be but very, very amazing. I know gravity is a false force and only magnetism is true. All the winds and storms and philosophies of men can rail against it and I will never change my belief. I choose what I want to believe and you will never make that choice for me. On that final point we are in agreement. Previous Post What Do You Believe Now? Good analogy .The question is what do we do about those that don’t believe in either ha ha.Really like your comments and articles,very applicable to life in general let alone the church.